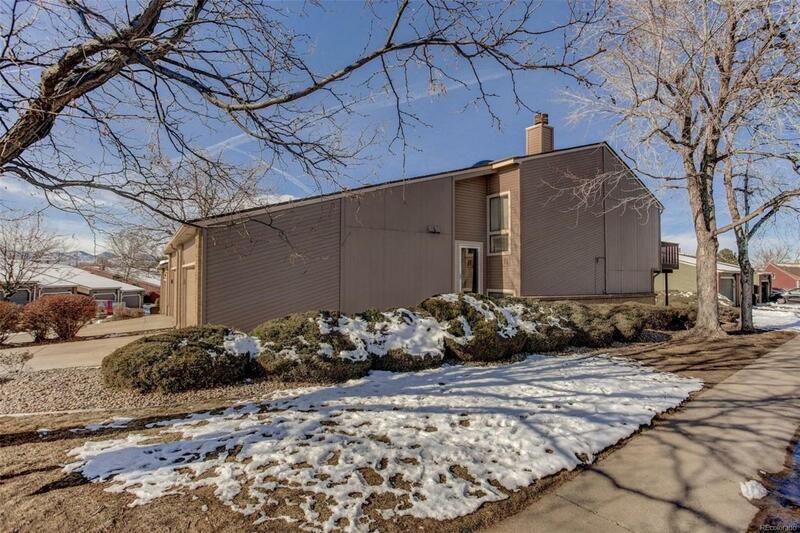 End unit, 2 bed/2bath town home in an excellent location with plenty of natural light! Open floor plan with vaulted ceilings, over sized 2 car garage. Oversized living area includes a wood-burning fireplace. All kitchen appliances plus washer/dryer included. Master bedroom has attached bath and private spa. Large secondary bedroom. Just painted and new carpeting. Rare find! Just north of Aspen Grove with abundant shopping and dining options. Quick access to light rail, buses, trails to Parks and Hudson Gardens. Hiking, biking, kayaking and other outdoor activities are all just outside your front door! Discover the nostalgia of Historic Downtown Littleton.